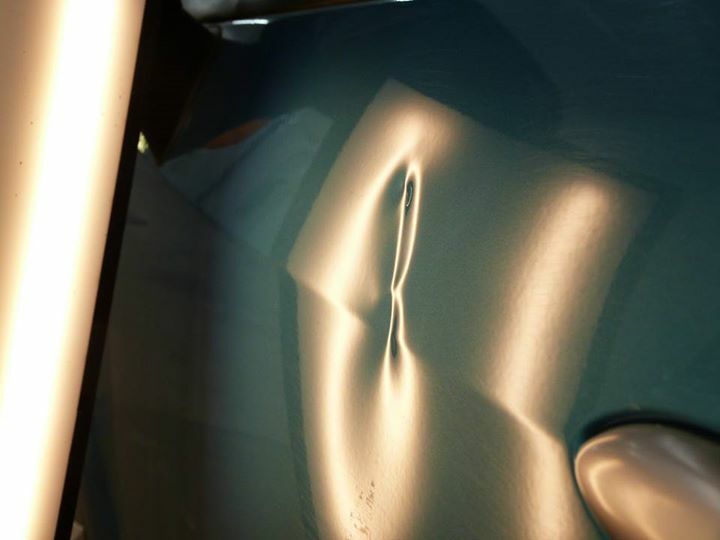 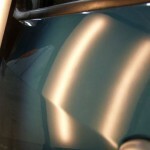 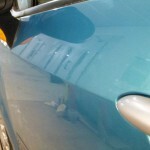 Even bodyshops see the benefit of Paintless Dent Removal. 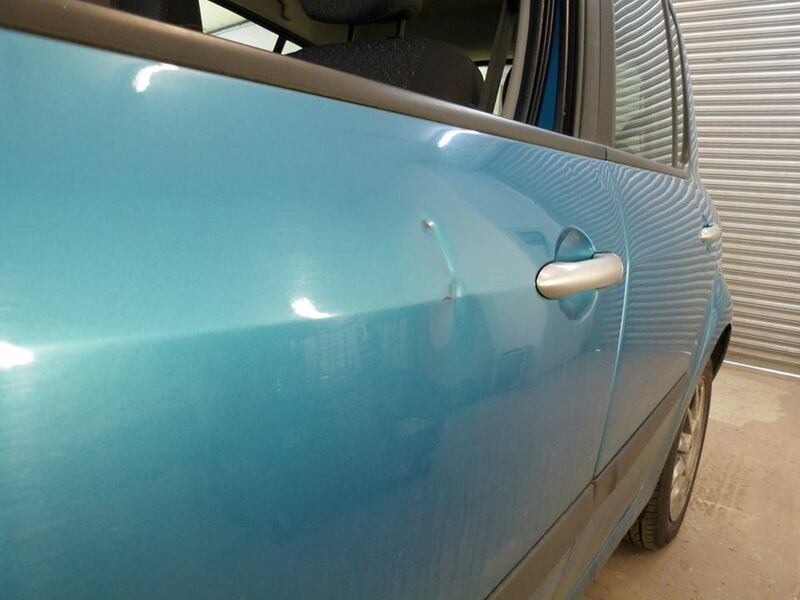 They understand the time savings and superior finish PDR can produce compared to conventional repair methods.This was quite a stretched dent on the upper part of the door panel on a Renault Modus. 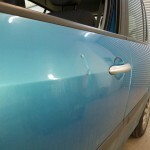 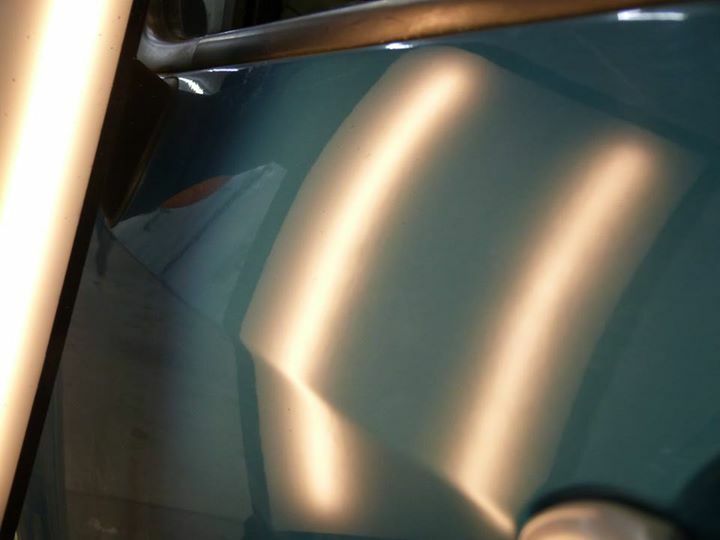 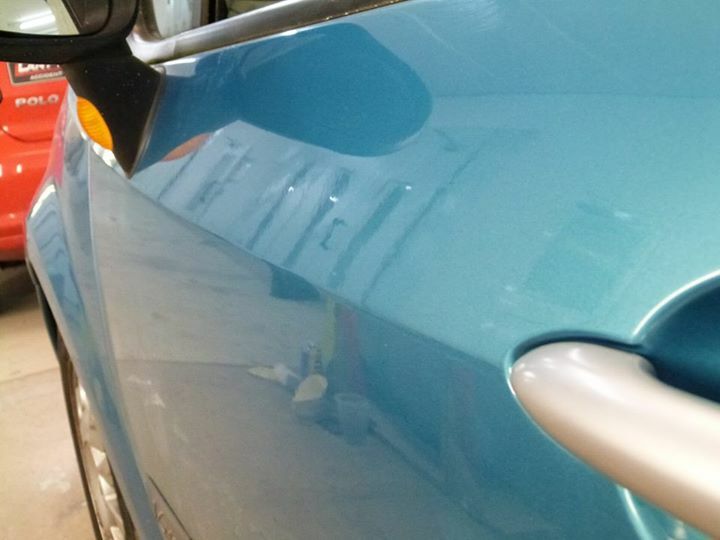 Because of the speed in which PDR can be executed, the owner was back in their car in the same day as the repair was booked for, rather than days if the bodyshop had filled and painted it themselves. 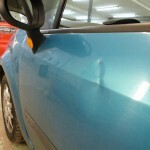 Not to mention the possibility of mis matched colours, sinking filler and the painting of undamaged panels to ‘ blend ‘ the repair in. 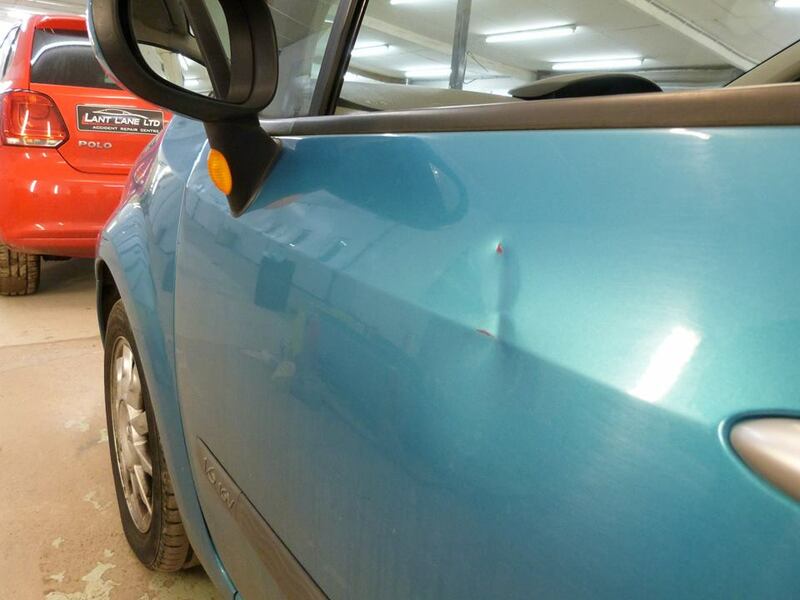 Rather than going through a bodyshop for your car dent repairs, come to DentSpeed first.